The lovely people at KEEN Footwear asked if we would review their latest walking shoes for kids. 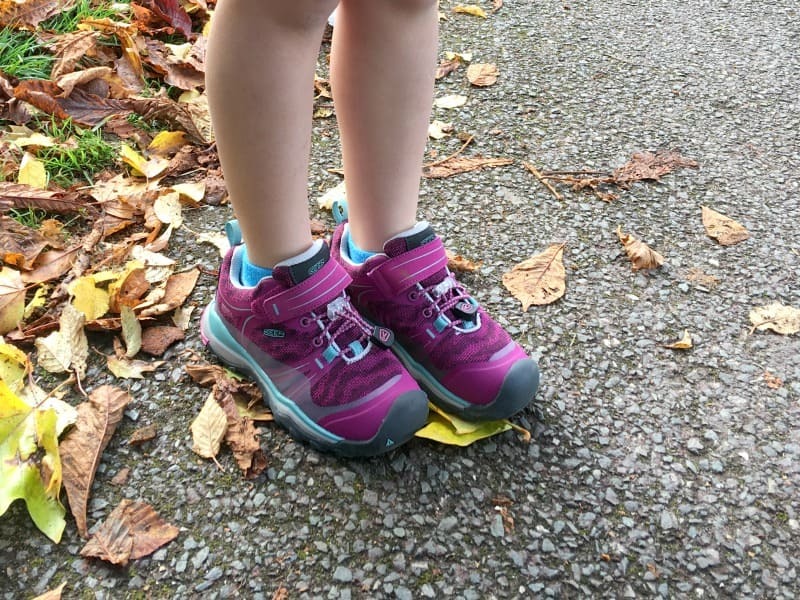 Once I took a look at their latest range of kids hiking boots and shoes I was sold and they agreed to send some for Brook and Indie to try out, but how did we get on? Kids love being outside and make for great hiking companions. I know that a lot of active families will already know this but if you are just starting out with hiking with kids, if it’s sold to children in the right way they will absolutely love your new family adventures. When I took Indie to Hackfall Woods all it took was a little imagination to help her enjoy the our Yorkshire family hike together. Buying good kids walking boots is going to be a great investment for making sure your children are happy when exploring the outdoors. Here’s what we thought about the KEEN walking shoes for kids. As the KEEN hiking shoes were the first proper pair of children’s walking shoes they had tried, at first both the girls were a little unsure about wearing them. The look bulky compared to their other shoes and I think they were worried they wouldn’t be comfortable. We had a few ‘conversations’ about how the girls walking boots would be super comfy as they were designed for lots of walking. 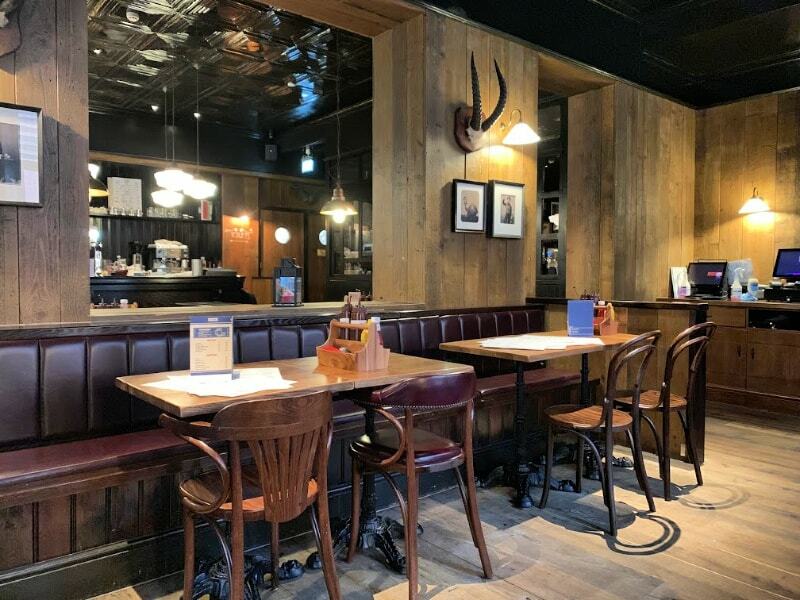 I talked to them about how they would be great for some of our days out to places like Brimham Rocks and they agreed to try them out. They loved the colours of the KEEN kids hiking shoes so that was half the battle to be honest. Brook had been sent the Younger Kids Terradora waterproof low hiking shoes and Indie was testing out the Older Kids Terradora waterproof hiking shoes. KEEN describe the colour as Red Violet, and they look like a very dark pink with contrasting turquoise details. I was a huge fan as soon as they came out of the box and I knew the girls would be happy with the colours. 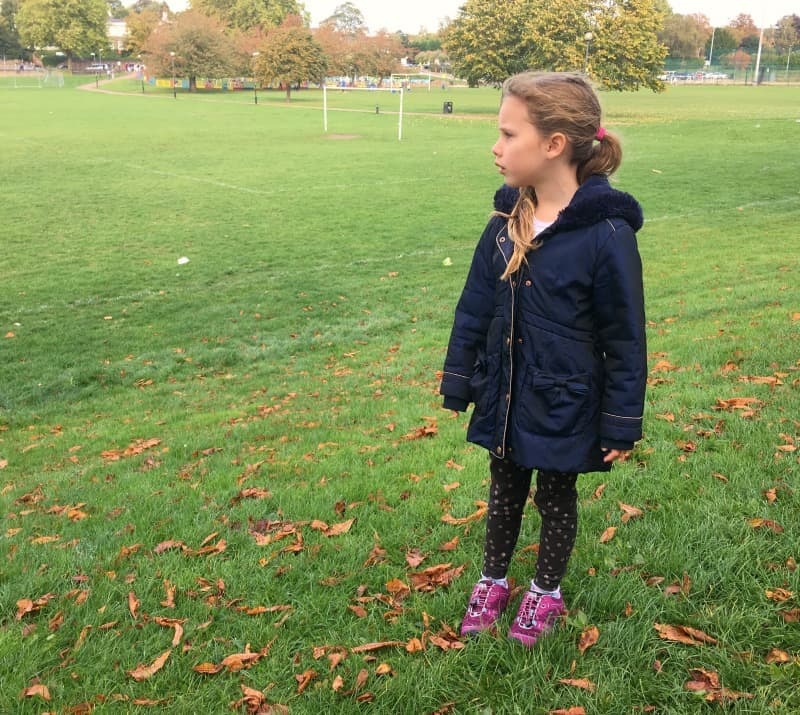 Our first outdoor adventure in our KEEN girls walking shoes wasn’t actually on a big family hike but to the famous Nottingham Goose Fair that takes place here every October. It’s the largest fair in the UK and involves quite a lot of walking. 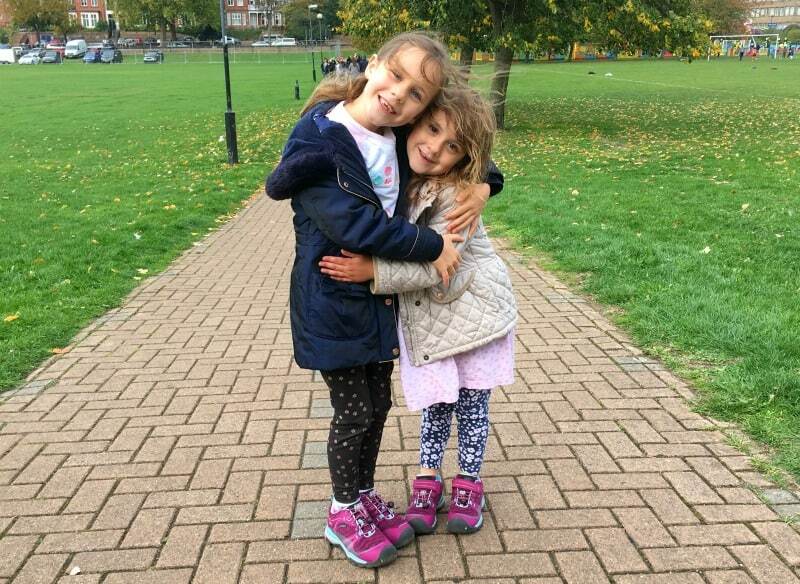 With the autumnal weather being how it is I knew we would be faced with mud and puddles as well as lots of park space to test out the walking shoes. When Indie jumped out of the car her first comment set the scene for the entire kids walking shoes review. ‘These are comfy, Mummy’ she said as soon as she started walking, to which I really wanted to reply ‘I told you so’, but managed to contain it! The kids walking shoes are really lightweight and flexible which makes a huge difference for little feet. The laces are fantastic with an easy to secure mechanism that young children are able to use themselves. Brook’s walking shoes had the laces and a velcro strap to make them even easier to fit to the foot again. There is a good amount of padding around the top of the girls walking shoes and on the tongue too, which really added to the comfort while they were wearing them. I was also impressed with the thread on the sole of the shoe and the front toe protector that provided added security for more adventurous hiking. One of the most important things with girls walking shoes is are they waterproof? When you are on a family day out or walk no one wants wet feet. It’s one of the first thing kids moan about in my opinion. The kids Terradora waterproof low hiking shoes come with the KEEN.dry waterproof breathable membrane to protect the feet from getting wet whilst still letting vapour out. Despite a few puddle incidents at Goose Fair neither of the kids complained about wet feet once! Overall we felt that the kids Terradora waterproof low hiking shoes were great walking shoes for children. The adjustable fit and therefore comfort they provide small feet is great. 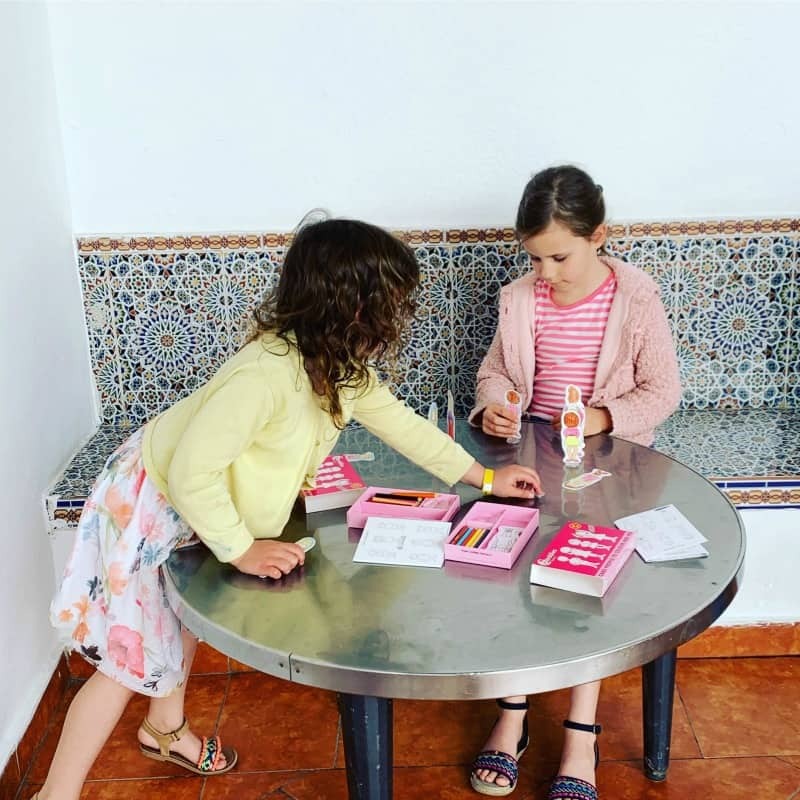 We have seen very little moans and groans from the girls about their walking shoes and they would be the first to let us know if they weren’t happy to wear them. 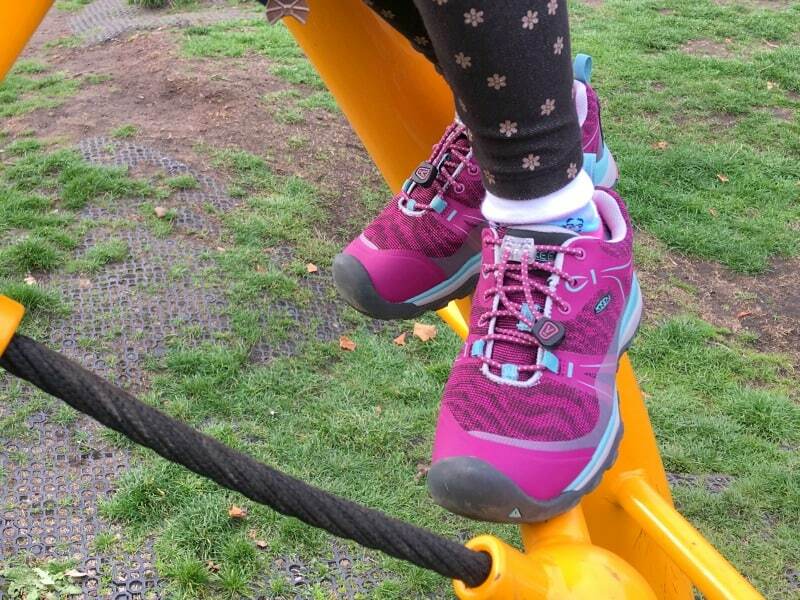 We are looking forward to more adventures throughout half term with the KEEN kids Terradora waterproof low hiking shoes safe in the knowledge we can take on some more ambitious family walks this autumn. We were provided with the KEEN kids walking shoes for the purposes of this review, but all thoughts and opinions are our own. Vango Edoras 500XL Air REVIEW - The Perfect Family Tent? We do a lot of walking so this is a really great review. Always unsure what to get for children.